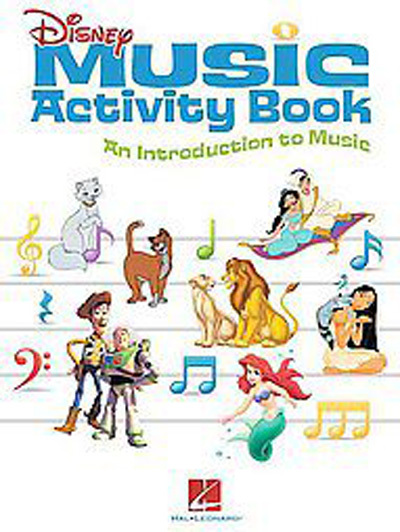 The Disney Music Activity Book is a fun introduction to music through songs, games, puzzles, and other music activities. Featuring 26 well-loved, classic Disney tunes, including “The Bare Necessities,” “Beauty and the Beast,” “Supercalifragilisticexpialidocious,” and “You've Got a Friend in Me,” this book can be used by beginning pianists, keyboard players, guitarists, vocalists, and other C-instrument players. Whether doing these activities at home or in the classroom, beginners will love learning the basics as introduced by their favorite Disney characters!